Windpilot is the latest sponsor to join Istvan Kopar’s 2018 Golden Globe Race team. Windpilot is giving Istvan one of its Pacific model windvanes to use during his nonstop solo circumnavigation, provided that he successfully reaches the starting line. For a solo circumnavigator, it is absolutely crucial to have a reliable and high quality windvane. This is what makes it possible for the skipper to continue sailing and stay on course at all times, even when he needs to leave the helm. Windpilot has been making self-steering windvanes since 1968, and holds the distinction of continuously manufacturing these products longer than any other company. Over the years they have evolved from handcrafted stainless steel systems to ones built with die-cast aluminum, which is lightweight, strong, and resistant to corrosion. 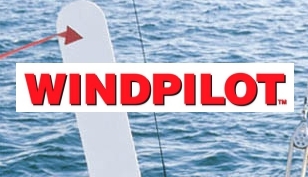 Windpilot takes pride in their constant dedication to innovation and improvement. They are committed to producing high quality self-steering systems that are affordable for the average sailor. Yachting World awarded its gold medal for overall performance of windvanes on the market to Windpilot’s Pacific Plus model, after an extensive investigation in 1999.